The Swoosh has really been coming with some amazing apparel for women. When we initially saw the Nike Sportswear "Sports Pack" on Aleali May earlier this month, we were instantly smitten. When we saw more in the full collection lookbook, we knew it was a certified need. Fresh cuts, gorgeous fabrics, and the variety of the pack made it one we were keen to keep our eyes on. 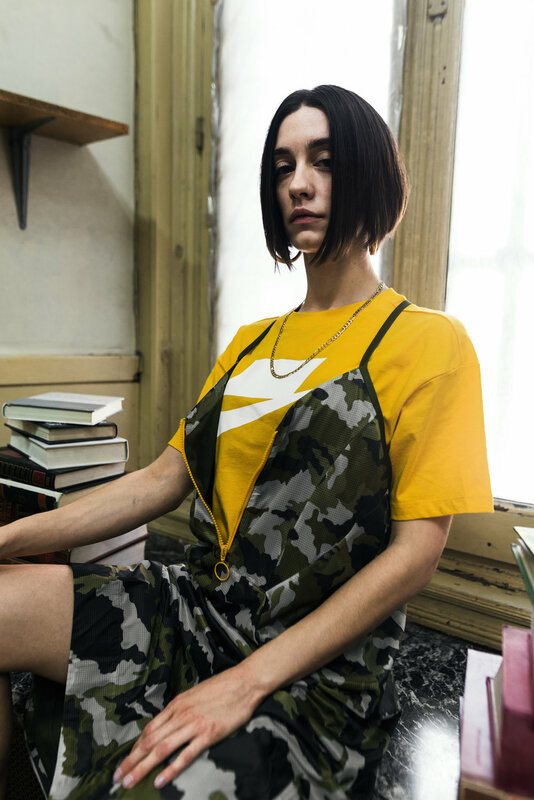 Now, as summer begins to fade and fall begins its descent, we're coming face-to-lens with more from this collection thanks to our friends at euro-retatiler, Urban Women's Club. Shot by photographer S. Lozano Jimenez, The new collection includes a range of pieces, from crop tops to tech skirts and woven pants. These pieces allow you to mix and match your looks to your own liking. This lets you effortlessly explore all the facets of your #sneakHERstyle. From camo coordinates to crop hoodies and high-waisted pleated pants, the Nike Sport Pack, is old meets new in the most progressive and dynamic way. Dynamic fabrics and unique prints merge to categorically ease into the "disrupt the norm" tagline. Classic sportwear turns on it's head a bit with multiple offerings that can easily transition from season to season and create a new avenue of self-expression. One of the core objectives of this collection was to create a grab-and-go feel that would allow for an endless number of style combinations, giving you both options for a variety of looks AND a major bang for your buck with multiple staple pieces. You can shop much of the editorial (including sneaks!) below.